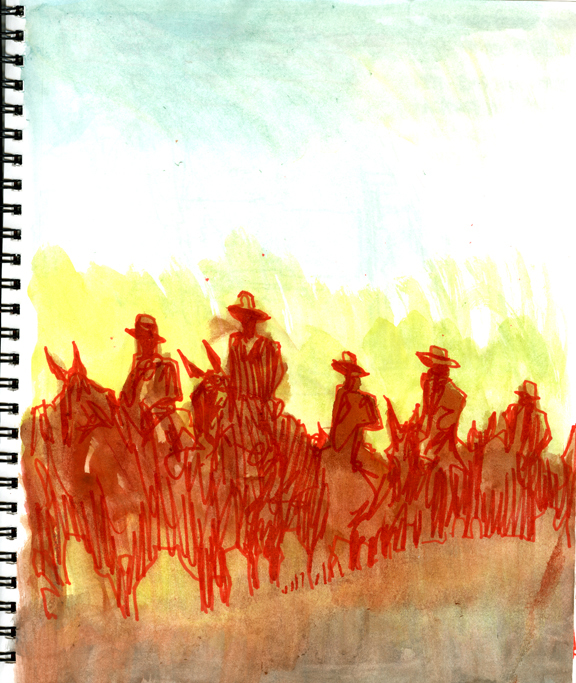 Worked over the weekend on a mule scene for our upcoming issue on how the mule conquered the West. 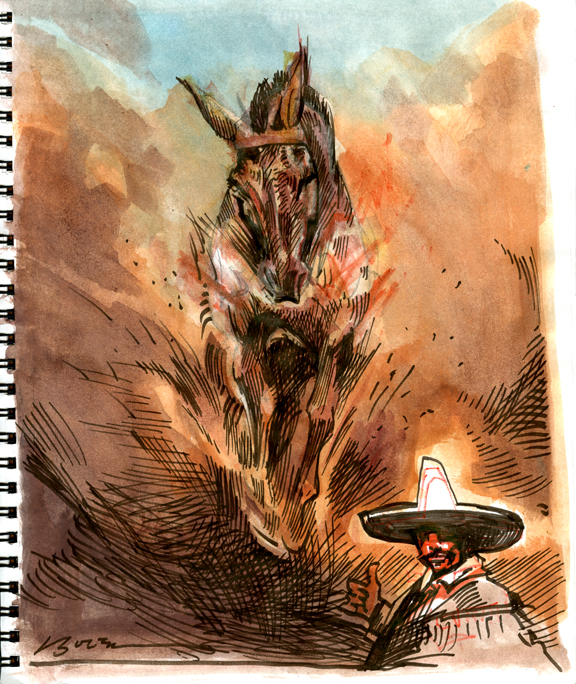 Daily Whip Out: "The Baja Hinny"
Daily Whip Out: "Muy Malo Mula Sketch"
Daily Whip Out: "Mule March Sketch"
Got several books, but more importantly, I know the right muleteers and I'm on the hunt. 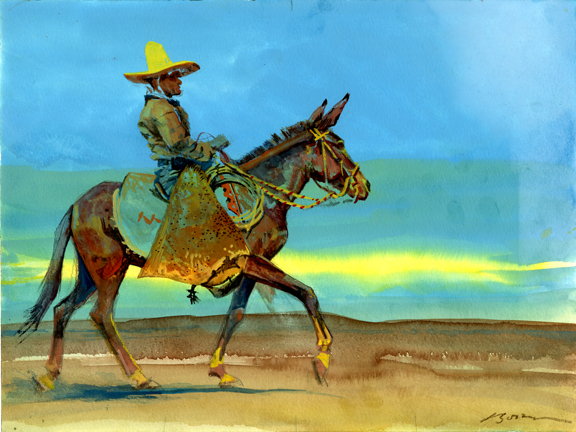 "The American government resembles a burro; but on this burro lawyers will ride, not priests." The history,stories,pictures take one into wonderful past history.